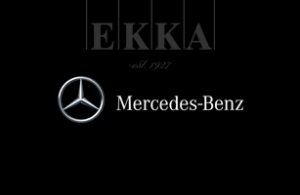 Mr. Nikos Ioannou, Marketing Manager of EKKA - Mercedes S.A., has chosen Intros.gr to develop Ekkaʼs web presence on the auto section at first (starting with Mercedes.ekka.gr) before expanding onto the rest of the sections. Originally setup under Joomla 1.5 Intros.gr migrated all data, upgraded to Joomla 3.0 and added K2 component for optimization. Following Mercedesʼ design language we created several bespoke forms that target different recipient groups. Intros.gr completed the redesign and redevelopment of EKKAʼs corporate Mercedes siteʼs auto section. We performed data migration from Joomla 1.5 article manager to K2 component and upgraded it to latest version of Joomla (3.0). SEO through using the K2 component. Design based upon Mercedes worldwide design language.